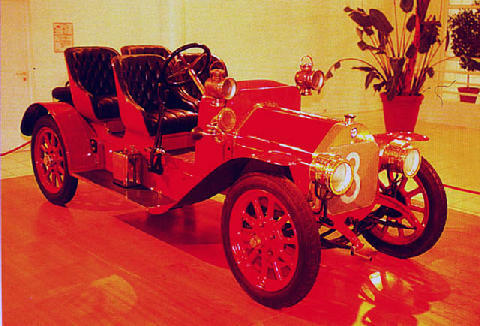 Alfa was building its own cars of the type 24 HP in 1910. They left the factory in the Milanese district of Portello as saloon or sports cars. The four-cylinder side valve engine had a capacity of 4084 cc and delivered between 42 and 45 bhp. Because the open body weighed between 870 and 1000 kg, (1914-220lb) the top speed of 69 mph (110 kph) was nothing special.